By Kaptain Carbon. Shadow Woods is an outdoor metal festival held in the upper reaches of Northern Baltimore. Shadow Woods stands are one of the few “open air” metal festivals left in the US and perhaps one of the even fewer overnight camping events. 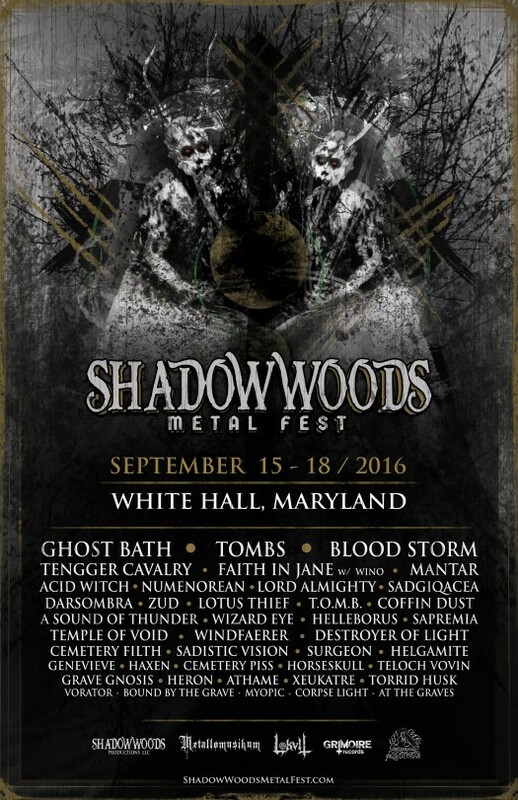 Shadow Woods is an outdoor metal festival held in the upper reaches of central Maryland. Shadow Woods stands are one of the few “open air” metal festivals left in the US and perhaps one of the even fewer overnight camping events. While the US has a while to catch up the Europe in terms of camping festivals which do not involve drum circles, sandals, and the guy in the Free Hugs t-shirt. Shadow Woods is interesting because despite having a large amount of black metal, is still a diverse array of music. From death to doom to psych and folk metal, this is a three day event which will allow one to get in touch with nature and find the underworld beneath the soil. After traveling a few dozen miles outside of Baltimore, the concrete and grime of the city drops off for scenic nothingness filled with sprawling fields and supposedly a pleasant sunflower patch. Here at Camp Hidden Valley, a few hundred metal fans converge for three days of music insulated by trees, hiking trails, and deep magic. I wrote and took pictures of the inaugural event and the announcement for the second Shadow Woods was more than welcome. One of the things I enjoy more than going to the woods, listening to extreme metal, and eating pop tarts for the weekend, is going through an entire festival roster and previewing every single band. This is a favored activity since it allows me to plan around specific acts but also introduce myself to pretty much most of the roster. Shadow Woods specializes in local and regional talent that have yet to make an impression on the larger metal community and for that reason is a treasure trove of new and exciting acts. Perhaps this article is the first step to finding my new favorite band and/or a dark omen to a stomach ache after eating too many pop tarts. Let us start this festival off right with a 6 pm performance from North Carolina’s Heron. Welcome. Hopefully you got your tent set up because it is time to wither and die. Cold and distant black metal in the style of the old depressive type which will perhaps sound amazing as a welcoming committee for a woodland festival. Listen to the echoes of sadness as they bounce off the treetops. I know some people do not think black metal in the day time works but the waning sunlight during dusk is going to be an immense backdrop for this band. Since Shadow Woods is outside of Baltimore, one gets to see the variety of extreme metal from the area. Despite my travels to the surrounding area, Xeukatre is unknown to me yet their brand of raw and unhinged black metal is going to be a fantastic experience right around dinner time. Taking their cues from the Les Légions Noires book of black metal this band emphasizes lo-fi darkness which feels pressed under the weight of the world. Also the band’s only release takes its name from the Latin for "I shall either find a way or make one,” which was attributed to Hannibal when crossing the Alps. 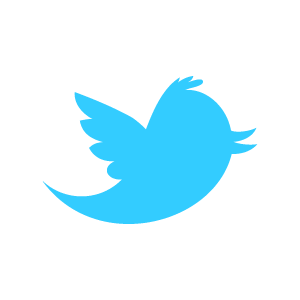 I do not know why this fits but I feel it is perfect. Here was a blurb about Numenorean from Canada playing the fest, but this just came through the wire: "Unfortunately Numenorean were not able to get visa into the US from Canada. Frosthelm will replace them. Mantar will move to the outdoor Field stage at 7 p.m. and Frosthelm will play inside at 10:10. All other set times remain the same for Thursday." If one thing is going to be said and written about Shadow Woods is its diversity. In the fray of extreme metal, Darsombra stands still eating peyote and looking like they are about to burst out laughing. With feet firmly planted in the realm of cosmic space rock, these groups of Krautrock weirdos are set to bring the sounds of echoing psych and space drone to the ears of people who may not be ready for it. I will of course be ready for it because this sound is awesome. Ghost Bath has had a strange journey from depressive black metal obscurities with strange location details one day to underground superstars the next. The release and promotion of Moonlover took this band to a level that was perhaps surprising even for them. With similarities drawn between polarizing acts such as Deafheaven, Silencer and Austere, Ghost Bath is an emotional ride which leaves little behind closed doors and wears all emotions on its sleeves. I enjoy doing these types of articles, because I can at least catch up on a bunch of different bands that went unnoticed. Enter Mantar and their combination of doom, black, and artsy sludge which has been hard mixed into something that is raw and slimy as hell. Traveling all the way from Germany and appearing after a particularly long US tour, this band is deserving of attention and possibly a beer or two. This is of course after a performance of nihilism being wielded like a baseball bat. The tags for this Rhode Island band include black metal, occult and rituals. If I were to take the same tags and apply it to what I think of Shadow Woods, there would be a large overlap. Haunting and mysterious, this group is set to close the night with a performance which I am sure will at least open a few dimensional portals. Add to this Haxen led me to discover a wonderful Rhode Island based label called Eternal Death which seems to specialize in all forms of moral depravity and cassettes. Thursday night should be wonderful and I hope Haxen allows me to live through the coming weekend. Thursday 15 September through Sunday 18 September 2016 at Camp Hidden Valley, 4722 Mellow Rd, White Hall MD 21161. Weekend pass (includes on-site tent camping) $130 in advance or $150 at gate. Limited cabin bunks available for an additional charge. Single-day tickets also available. Metal Bandcamp is 5 years old!